Hall of the Mountain King: Still Spinning: Queensryche, "Operation: Mindcrime"
Still Spinning: Queensryche, "Operation: Mindcrime"
Damn, this album is fantastic. I always seem to forget just how good it is when I go a little while without listening to it. Then, every now and then, usually when a disappointing new Queensryche record — or in this case, a Geoff Tate solo album — hits the shelves, I find myself reaching for it again. Each time, I’m amazed all over by how great it is and how well it holds up nearly a quarter century later. I’m sitting at my desk on a Saturday night working when I pop the CD into my computer and put the headphones in. The opening of the concept comes on with the nurse coming in to check on the psychiatric patient, that deep “I remember now” after she leaves as he begins to recall events and the slowly building instrumental piece “Anarchy-X” that eventually explodes, after a brief lull, into the soaring “Revolution Calling.” By the time we hit the first chorus, I’m alternately playing air drums and guitar and bobbing and banging my head to the music. I’m getting strange looks across the room, but I don’t care. You have to enjoy this record properly. I saw a recent interview where Tate, who has tried over the years to distance himself from the metal label, said that Operation: Mindcrime wouldn’t be considered heavy metal by modern standards. I don’t know what record he’s listening to, but when the band rips into songs like “Speak” or the blistering “The Needle Lies,” I don’t know what else you could call it. Regardless of what some of today’s acts seem to believe, metal doesn’t require dissonant bashing or a screaming/growling vocalist. Yes, this is metal, and one of the finest examples of the genre. The record is a concept album, based pretty tightly on the story of a heroin addict named Nikki who gets involved with a secret revolutionary organization run by a man known only as Dr. X. As the album opens, Nikki is in a psychiatric hospital with amnesia, but reports on television of political assassinations suddenly bring memories flooding back through the rest of the album. Controlled by his addiction, Nikki is put to use by Dr. X, but when he meets a prostitute-turned-nun named Sister Mary, he begins to question his actions. Seeing the threat, Dr. X orders him to kill Mary and the corrupt priest at her church. Nikki can’t go through with it, and tells Dr. X that he wants out, but Nikki is still controlled by his addiction. He returns to Mary only to find her dead and begins the rapid descent into insanity that lands us back at the beginning of the album. Concept albums are tricky devils. Often, a slavish devotion to the story means that the music suffers. 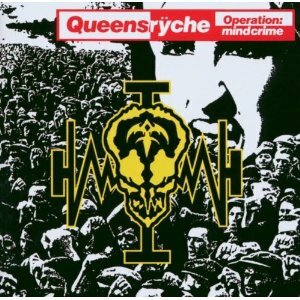 With Operation: Mindcrime, Queensryche delivered that rare album that remains completely focused on the story, but also provides an outstanding musical experience. Every song, every lyric on the record advances the tale of Nikki, yet never does the listener feel like that story is dictating the direction of the music. There isn’t a weak moment or a song that I ever skip from start to finish on this album. It features a great ebb and flow of contemplative pieces and instrumentals and raging rockers that keep the tension and drama up throughout. I remember as a high schooler thinking the concept was one of the coolest things ever and debating with my friends for hours about what some of the passages meant. As I’ve grown older, the concept seems a bit less likely and what’s going on seems pretty straightforward — or maybe I’m just not looking for secrets anymore like I was then — but it hasn’t weakened the experience of listening to the record in any way. For me, it’s easily one of the best hard rock albums to come out of the 1980s, more thoughtful and musically accomplished than many of its contemporaries, and it features some classic songs in the genre. Who can forget that sinister echoing main guitar riff of the title track, the epic “Suite Sister Mary,” the soaring “I Don’t Believe in Love” or the haunting finale to the whole tale, “Eyes of a Stranger?” That last song is, arguably, Queensryche’s finest moment — a perfect combination of moody brooding and blazing rock ‘n’ roll, accented by one of Tate’s finest vocal performances. At the risk of sounding like an old fogey, they just don’t make rock concept albums like this anymore. Heck, very few of them were made at any time. 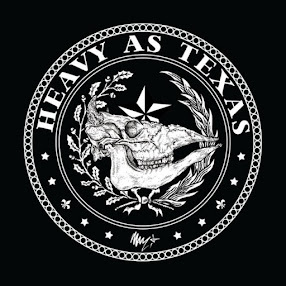 You’ve got tight riffs and lead harmonies from the twin guitars of Michael Wilton and Chris DeGarmo, great hooks, an interesting — if not completely plausible — story and Tate wailing like an air raid siren. It’s absolute musical mastery. What’s not to love?